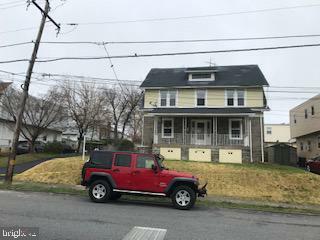 All Clifton Heights homes currently listed for sale in Clifton Heights as of 04/22/2019 are shown below. You can change the search criteria at any time by pressing the 'Change Search' button below. 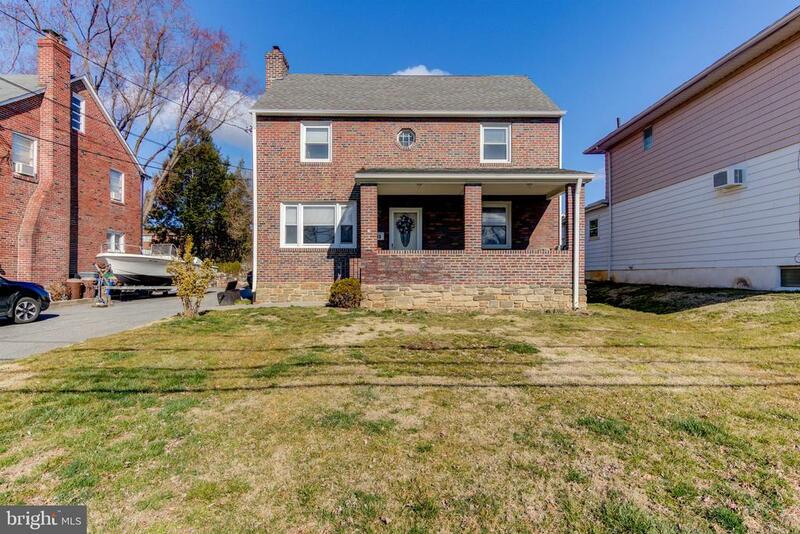 If you have any questions or you would like more information about any Clifton Heights homes for sale or other Clifton Heights real estate, please contact us and one of our knowledgeable Clifton Heights REALTORS® would be pleased to assist you. "ONE OF A KIND 5 bedroom, 3 bath home with too many extras to mention.......new blacktop driveway, freshly painted interior and exterior, new 100amp electric service, updated lighting, ceiling fans, fixtures, new kitchen cabinets to go with all new Samsung stainless steel appliances, and granite countertops. A full bathroom in the basement, and on the 1st and 2nd floors. Open front porch 9' x 23' leads you into a 12' x 25' great room with gas fireplace, a formal dining room, eat in kitchen, and full bathroom make up the first floor, 2nd floor has 3 bedrooms and a full bathroom, 3rd floor has a entry foyer and 2 more bedrooms. Basement is full and finished with a walkout entrance, a laundry area with double washtub, gas heater, gas hot water heater and 2 finished rooms 10' x 7.5' and 15.5' x 8.5'. The home has been beautifully remodeled and is waiting for that special someone(s) to move right in." 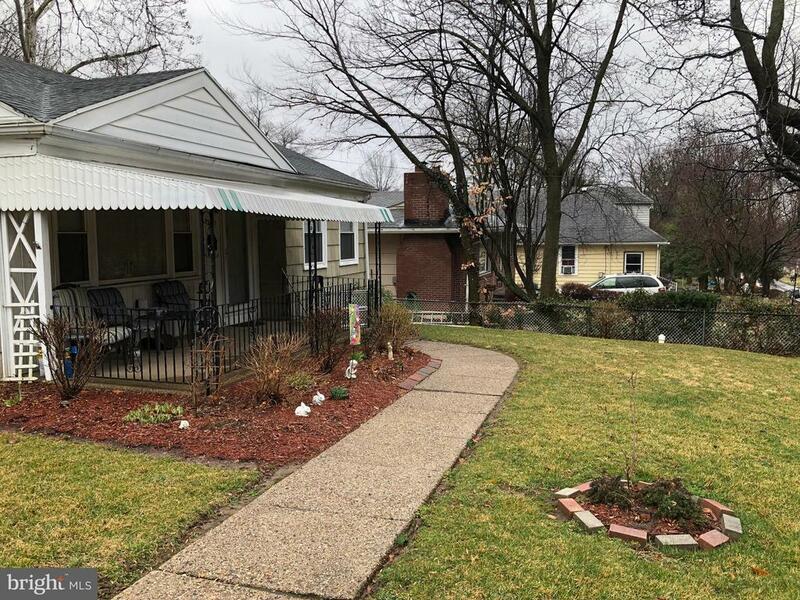 "Charming updated 3 bedroom home in the highly desired Aldan Woods neighborhood of Clifton Heights. Currently the only house for sale in the neighborhood. This home has everything anybody could want in a home. Master Bathroom, main floor bathroom, finished basement, sunroom, upgraded kitchen, upgraded flooring, and a deck that looks out to a large backyard. Suburban feel with a city-like environment. Close to large stores and major highways. Philadelphia international airport is less than 20 minutes away making traveling a breeze! This home is priced to sell and will go fast. Make your appointment as soon as possible." "Absolutely One of Clifton Heights Finest!! Welcome to 213 E. Broadway Ave, an Updated Brick Colonial with an Excellent Lot and Conveniently Located within the heart of the Boro. 1st Floor Features: Tiled Entrance into Large Formal Living Room with Wood Burning Fireplace, Formal Dining Room, Modern Kitchen with Wood Cabinetry, Pantry Closet & Exit to Rear Patio overlooking Sizable Yard. 2nd Floor Features: Master Bedroom with Walk-in Closet, 2 Additional Generously Sized Bedrooms, both with Ample Closet Space, Updated Hall Bath with Tiled Floor (2015) & Walk-Up to Floored Attic! 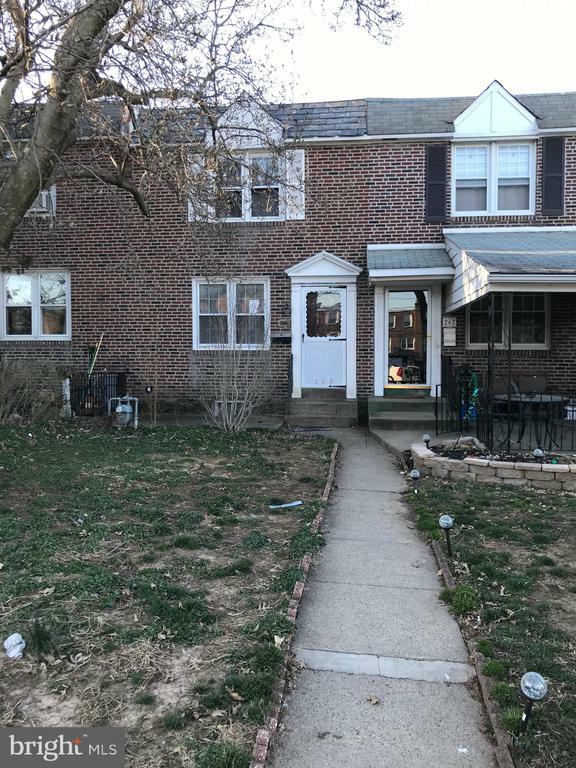 Upgrades & Extras Include: New Carpet (2019), Hardwood Floors T/O, Freshly Painted, Updated Interior Doors & Hardware, Ceiling Fans in all Bedrooms & Covered Front Porch! Located close to Public Transportation, Community Parks & a handful of Local Hot Spots, 213 E Broadway Ave is an Absolute Must See!!!" "Just in time to enjoy the warm weather, this beautifully renovated home with huge DECK 14 x 14 is ready for you, your family & friends! Welcome to 5129 Westley Drive! 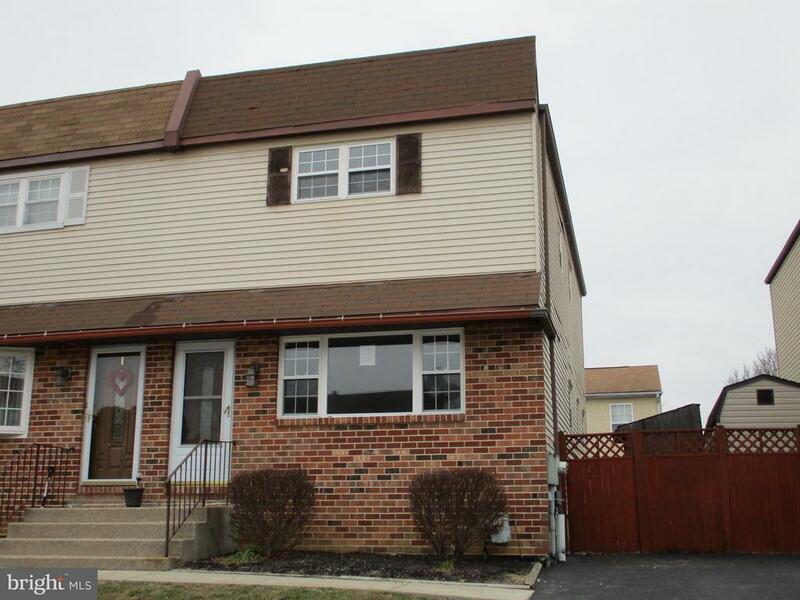 3 Bedroom, 2 full Bath home with finished Basement! The Kitchen, Dining Room & Living Room were opened up to provide an open floor plan for every day life and entertaining. The brand new Kitchen boasts all stainless appliances, fridge, dishwasher, stove & microwave(which comes with the purchase). Huge center island is a breakfast bar which provides additional storage, counter space & seating with sink facing the window so you can bask in the sunlight. Sliders were added in the Dining Room for additional light and a convenient path to the large Deck (a deck is hard to come by in this neighborhood!). The first floor is finished throughout with a darker hardwood. Through the French door, you will be lead to the lower level which you'll find a Family Room area with full Bath with tile floor, laundry closet and door to outside. Upstairs are 3 Bedrooms and neutral full Bath with tile floor and skylight. Throughout home, you will find new neutral carpeting, oil rubbed bronze fixtures and hardware, some recessed lighting and ceiling fans. Not to mention the central air and newer HVAC unit! Make this home yours today!" "Absolutely charming bungalow! Clean as a whistle and very well maintained. 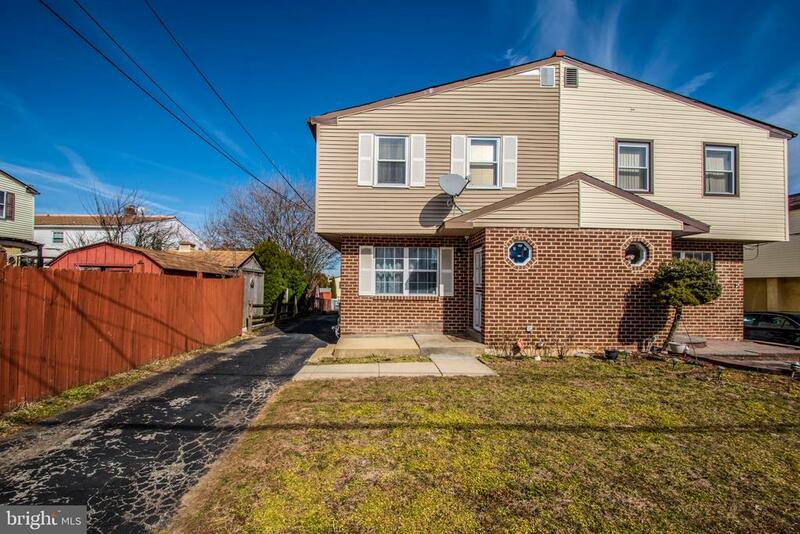 This corner lot home is close to everything. Lovely layout with a family room off the kitchen, central air, and a basement that is a blank canvas waiting for your creative touch. 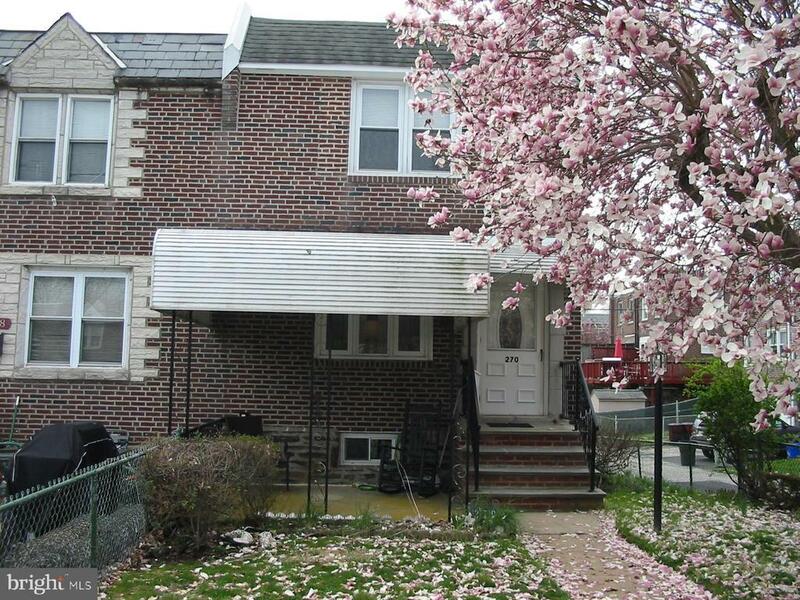 With a detached garage and off street parking, this home has everything you need." "What a Great Townhome in Westbrook Park! Attractive Trimmings, Nicely Pointed Brick, Lighted Covered Entryway & Bay Window all add to the Curb Appeal of this home with Smooth Cool Patio & Raised Pavered Garden Bed! Inside finds Classic Finishes, Shiny Wood Floors, Custom Lighting PLUS Plenty of Natural Light from the Triple Casement Window. 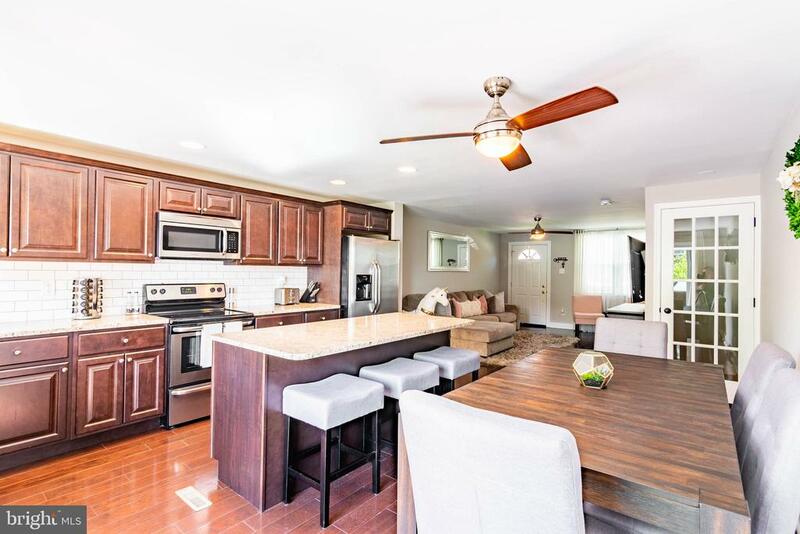 The Dining Room is Formal and Opens to a Bright Stylish New Kitchen with Granite Tops, Ceramic Tile BackSplash with Glass Accents, Black & Stainless Appliances, Corner Sink, Custom Lights, Extra Outlets & Gas Cooking! The Features Continue UpStairs and Include Large Master Bedroom with Custom TV Wiring, WalkIn Closet & Ceiling Fan; Newly Finished Hall Bath with Marble Tile Shower & Floor, Chic Vanity Sink & Tasteful Accents. Two Additional Bedrooms with Ceiling Fans Complete the 2nd Floor. The Basement is also Nicely Finished with Wall to Wall Carpet, New Powder Room, Custom Lights & Wiring and Separate Laundry/Utility Room and Outside Exit With New Steel Door to Private Parking & Level BackYard. Replacement Windows Throughout, New Aplliances and Fixtures, Newely Coated Roof And New Skylight. Come See, You'll LOVE IT!" 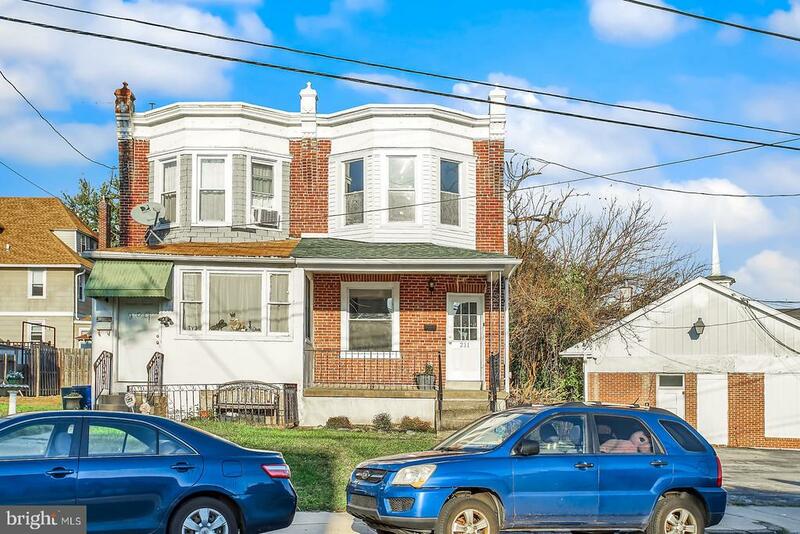 "Opportunity knocks in Clifton Heights for this sizeable twin with a flexible floor plan. Boasting old charm with modern improvements, this home allows for you to unpack and enjoy! The front porch allows enjoyment of the comfortable spring evenings soon to be here. Inside the front space could be living room and dining room combination space or space for your coats and shows before stepping into your living room with bay wall for maximum sunlight. The kitchen is generous and updated with new appliances featuring gas stove, dishwasher, and microwave. Conveniently off the kitchen is a laundry room/pantry. Behind the kitchen is additional living space that could be your dining room or serve as a den/casual space for entertainment with outside exit. The yard is deed with ample space to enjoy. The upper level features an update hall bath, spacious front and middle bedrooms, and is completed with a rear master suite that has a sitting room upon entering (could be nursery or even additional closet space) that leads into the large master bedroom. Off the hallway is access to the 3rd floor that is nicely insulated and floor for additional storage space and houses the new =ly added central air. The basement is full and unfished with sump pump, summer-winter hookup heating system, and bilco doors to the rear of the property. 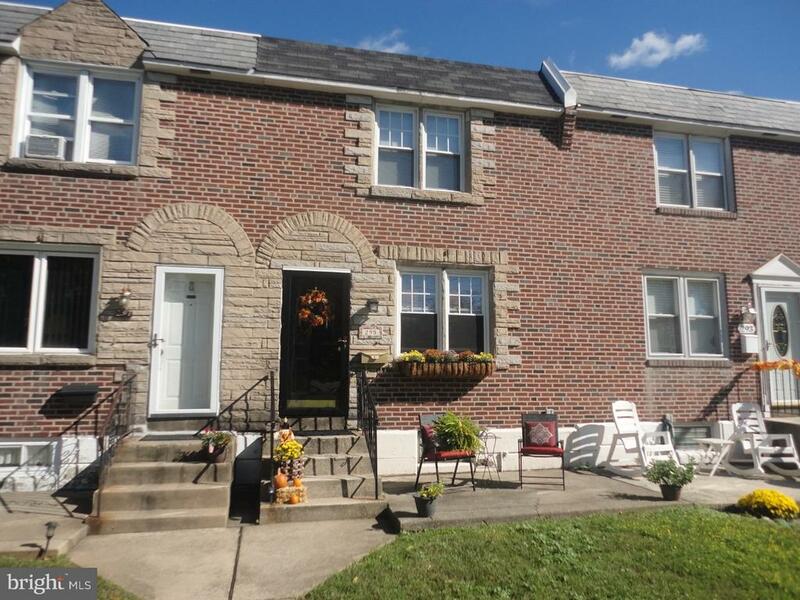 Additional amenities include new roof, replacement windows, new carpets, freshly painted, walking distance to Borough Hall, police station, multiple playgrounds, Schools, and public transportation (train, trolley, and bus), as well as Baltimore Pike shopping, and only minutes into Philadelphia. Income Guidelines Apply. No Exceptions." 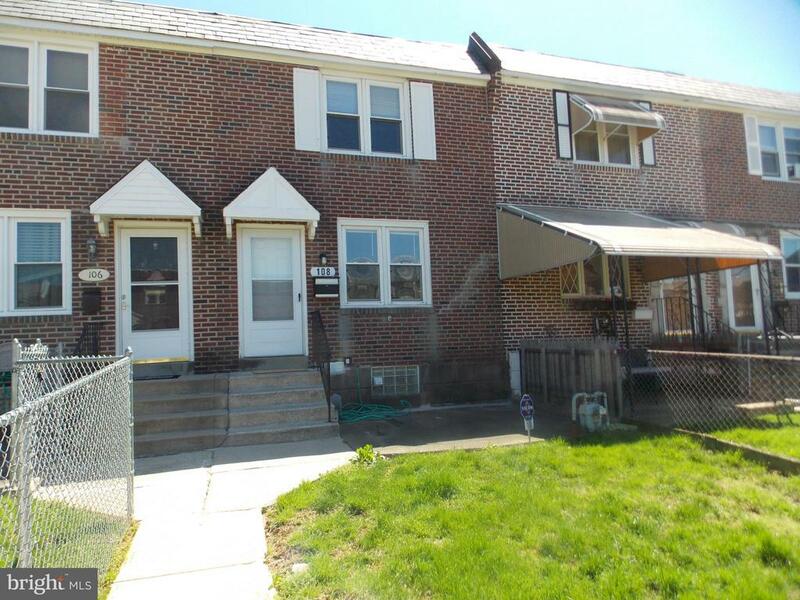 "This is a Fannie Mae HomePath property. 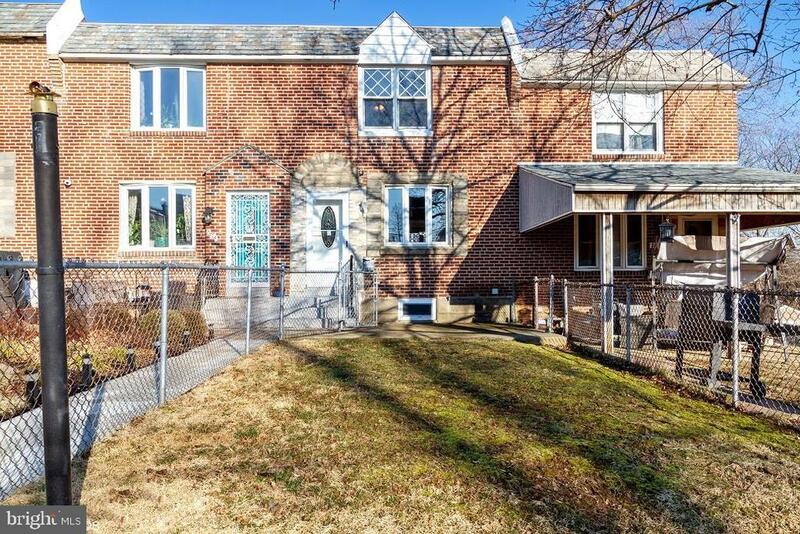 Brick middle row home featuring many updates. The first floor offers new flooring in living room and dining room, renovated open kitchen with granite counters and breakfast bar, upgraded cabinets and appliances. The 2nd floor has 3 bedrooms and a hall bath. Full finished basement with exit to rear driveway. New heater, new hot water, new central air unit. First time buyers, complete the HomePath Ready Buyer home ownership course and request up to 3% closing cost assistance. Restrictions apply." "Stunning Brick end row home remodeled with modern luxury. The first-floor features new finished oak hardwood flooring and plenty of natural light. Beautiful all new kitchen that includes granite counter tops, brand new cabinets, stainless steel appliances, and new tile backsplash & flooring. Second Floor presents a fully remodeled Main Bathroom with tile tub surround, Master Bedroom with walk in closet, & 2 other bedrooms. Basement has a ~ bath, walk out to back driveway, laundry area, newer furnace and hot water heater, and an ample amount of space for storage. The exterior features, new vinyl windows throughout, a covered front patio, potential enclosed parking, additional private parking on the side and the rear. 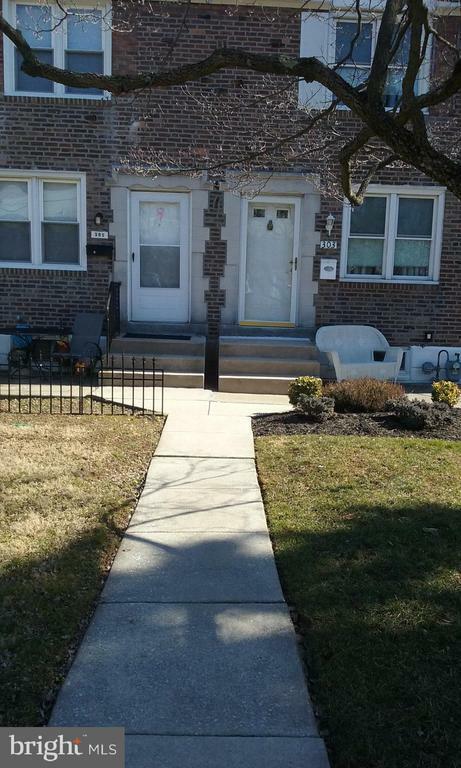 Great Location, and close to public transportation." "SHORT SALE!! 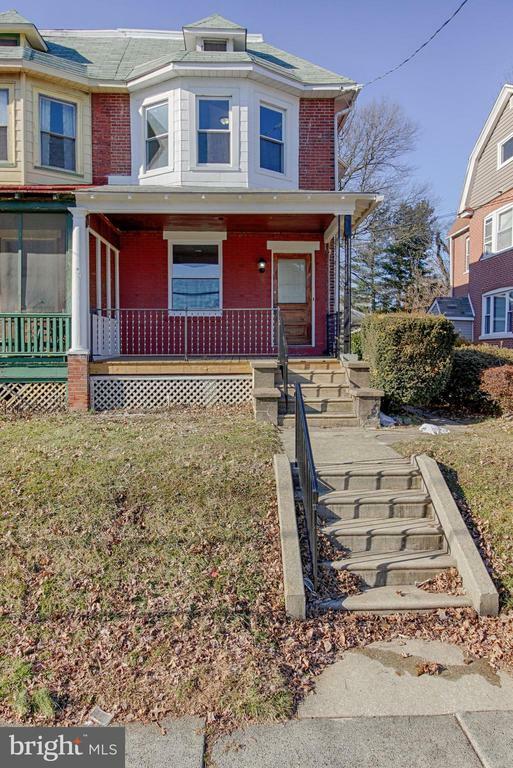 5 bedrooms 2.5 bath single home in Clifton Heights with enclosed porch. The first floor features living and dining area, powder room, guest room with private bath and large eat-in-kitchen with access to the backyard. The second floor has the laundry area, 2 bedrooms, and a shared hall bathroom; the third floor has 2 additional bedrooms. Other features of the home include a full basement with outside access, updated heating system, plumbing and electrical. Property to be sold in as is condition. 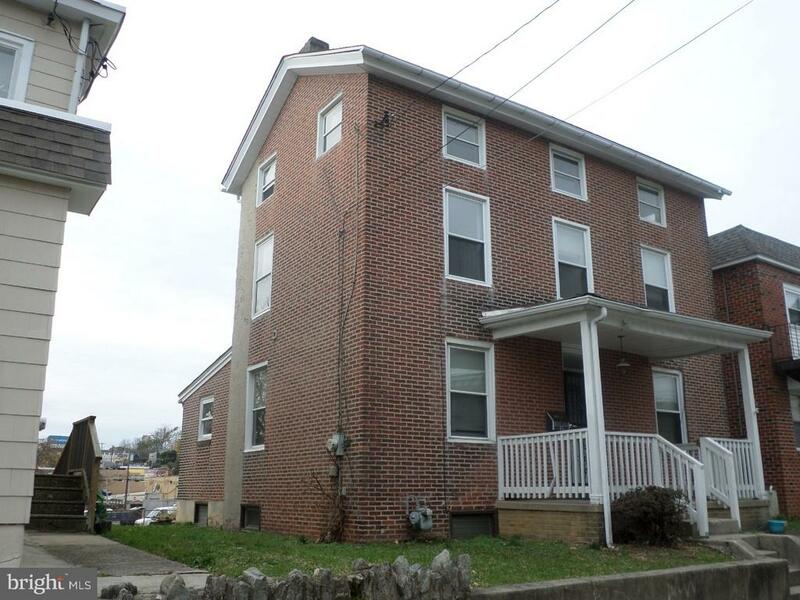 Buyer responsible for U and O certification from the Borough of Clifton Heights. Short sale fee applies." "Great Brick Row w/ rear Deck, front Patio, Finished Basement, Newly paved parking pad & many updates. MAIN LEVEL: Tile Entry, Large Living Room w/ closet, Dining Room w/ hardwood flooring, sliders to Rear Deck, Updated Kitchen w/ white cabinetry, recessed lighting, white appliances, window seat & hardwood flooring. UPPER LEVEL has Master Bedroom w/ closet & c/fan, Bedroom 2 w/ closet & c/fan, Bedroom 3 w/ closet, Bright & Updated C/T Hall Bath w/ new floor, vanity & tub/shower combo. BASEMENT is large finished room(s) w/ newer carpeting, walkout to back, Laundry/Mudroom Area. Fenced Backyard area, great for garden or swings or shed. Newer Gas Heater ('14), Gas Water Heater ('14), Roof silver coated ('17). Central Air for those humid days ! This home is well cared for and shows it. Close to everything. Come make it yours !" 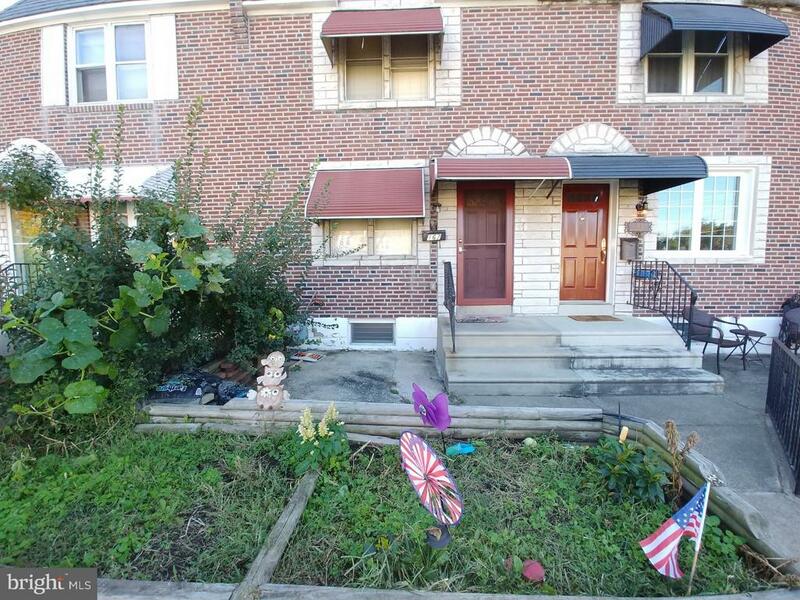 "Investment opportunity in the boro of Clifton Heights. 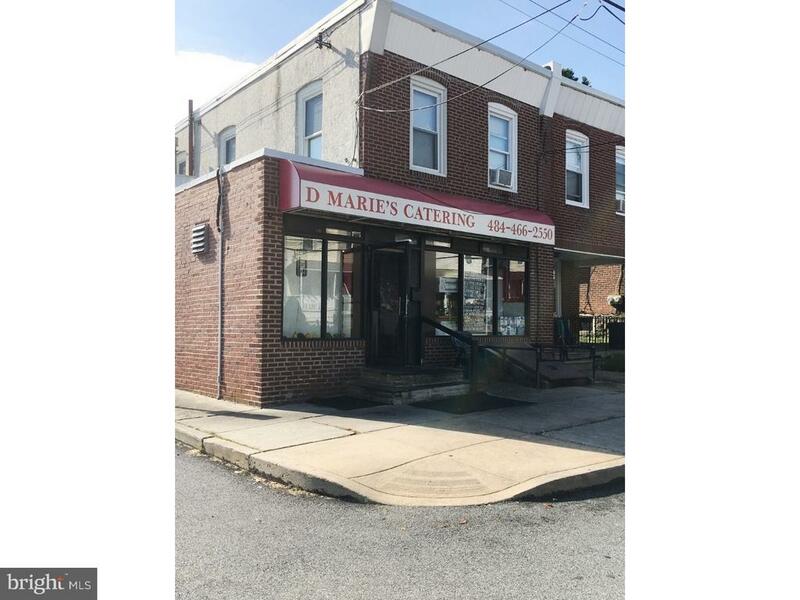 Store Front retail space available in a prime commercial location with a 4 Bedroom rental apartment in the back and on the second floor that is fully rented. The apartment rents for $1,100 per month and has a newly signed lease. The store front which is currently being used by a Caterer rents for $850. per month and the lease runs through December. You could start your own business utilizing this space or rent it out as a Deli, Pizza shoppe, Candy/Ice Cream shoppe etc. 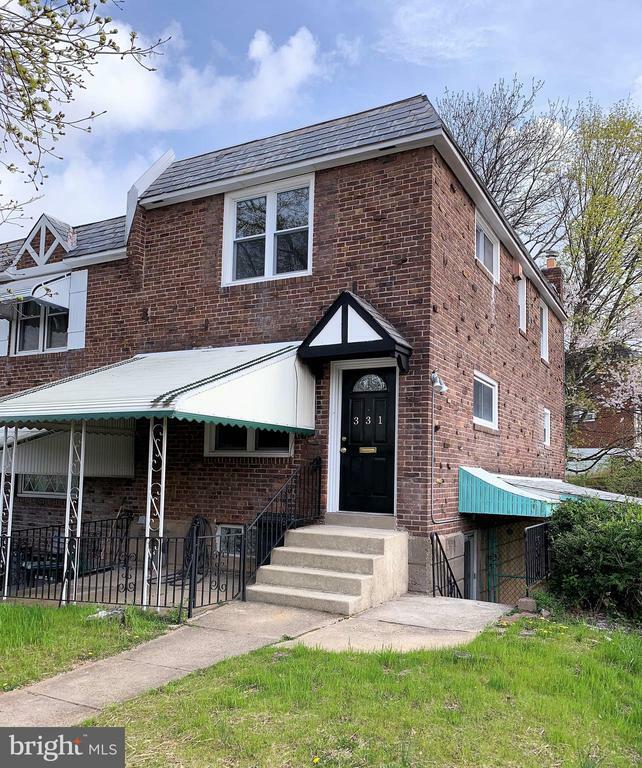 The apartment features an Eat-In Kitchen, 4 Bedrooms/1 full Bathroom, a full Basement with Laundry hook-ups (tenant must supply washer & dryer) a fenced in yard and parking for 1 car. The Storefront has 2 designated parking spaces plus there are plenty of spots for on street parking. Separate utilities for both units. Mixed use classification for mortgage." "Clean and Bright Westbrook Park Townhouse! Living Room, Dining Room, Eat-In Kitchen and Outside Deck on the 1st Floor, 3 Bedrooms & Bathroom on 2nd Floor, Finished Basement with Powder Room, Large Storage Room and Laundry. Front Porch and 2 Car Parking. Close to schools, shopping, train and major roadways." "Back on market! Motivated seller! Beautifully rehabbed twin in Clifton Heights. Gray oak flooring leads the way through an open living area with tons of natural lighting. Enjoy the amenities of a modern kitchen boasting lovely white cabinetry, marble countertops, subway tile backsplash, equipped with stainless steel appliances. Convenient full bathroom sits adjacent to your rear sunroom/pantry area. From here, enter your nice-sized yard for a play area and entertainment. Upstairs a sun-filled master bedroom occupies the front of the home. Your hallway bathroom is shared by two additional sizable rooms for an office, playroom, hobby/craft room and bedrooms. In the lower level of the home, the partially finished basement is your canvas. Stroll over to Ramarco's, Clam Tavern, Penny's Family Restaurant and more. Convenient access to public transportation and local parks. Central location enables you to also enjoy the wonderful amenities of neighboring townships. Great starter home or alternative for downsizing. Move-in ready. Pre-inspected. Repairs made. Just ask for report. Tour today!" "GPS OR GOOGLE MAPS ADDRESS 216 GRAMERCY DRIVE. Charming and well maintained Westbrook Park Row! This home offers three bedrooms and 1-1/2 bath. Spacious living room with nice bay window, dining room with sliders to rear deck, eat-in kitchen with open breakfast bar, new electric stove and new laminate floors complete the main floor. There is a beautiful finished basement with new laminate hardwood floors and powder room, enclosed laundry and plenty of extra storage. Fenced front yard and covered front patio! Walking distance to elementary schools! All appliances included with no monetary value!" "Come see this Beautiful Home! Open concept floor plan and ready to Move Right In! Beautiful Kitchen with Granite Counter top and Peninsula. New Ceramic Tile bath! Basement is Finished with New Powder room! Entrance To Garage. Brand New Heater and Central Air!" "Enjoy the bucolic view of the Gillespie Park woods and the peaceful sounds of rolling water from the open covered porch of this totally renovated brick townhouse! It's hard to find a nicer home for the money, with all the amenities of this 16 foot townhouse, just waiting for your furniture. The rooms are sunny and bright and the first floor has an open floor plan to maximize your space. The living room/dining room combination opens to the kitchen, with newer cherry cabinets, 5 burner gas stove, ceramic tile floor and backsplash and recessed lighting. The kitchen opens to a fenced flat yard, that continues up the hill, with no homes in back. The second floor has a spacious master bedroom with walk-in closet, 2 additional bedrooms and a new ceramic tile bathroom with custom tile and skylight. The lower level contains the one car garage with newer door, and driveway entrance into the basement area. The bathroom was gutted, enlarged, repiped and totally replaced. 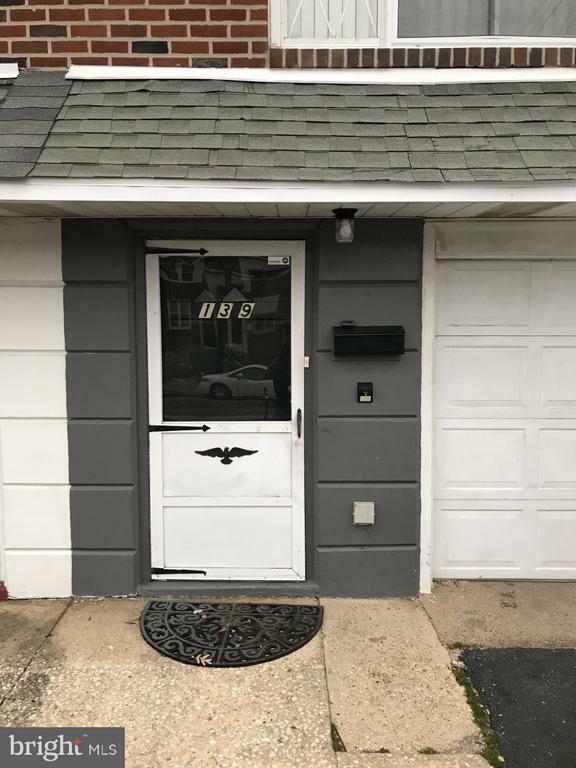 Other updates include gas heater and central air 2008, replacement windows, new interior doors throughout, new front entry door, updated 100 amp electric, newer carpeting and freshly painted." "Welcome to this affordable, well-built, end-of-row! Whether you are looking for your first home, looking for something nicer or down-sizing, this home has a lot to offer at a very reasonable price. 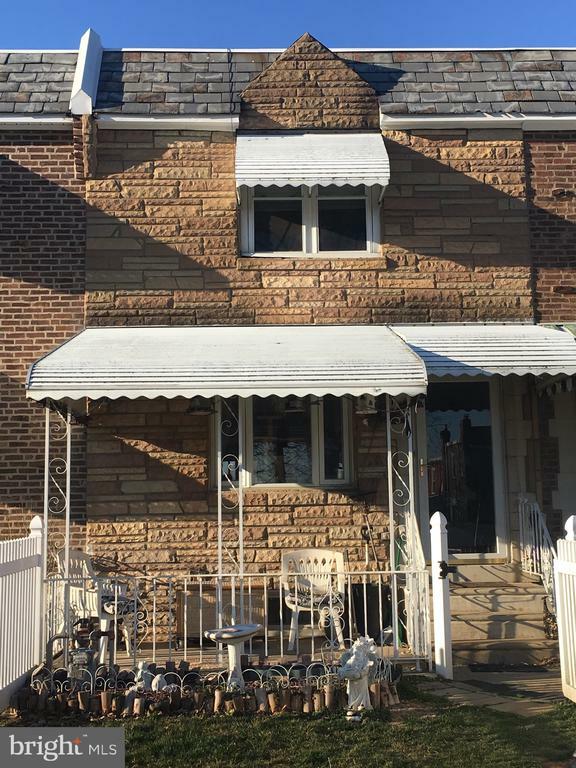 This suburban home is located in a nice community yet accessible to several major roads, shopping and many points of interest in the tri-state area. The interior offers central air conditioning, ceiling fans in all Bedrooms, hardwood floors under the carpeting, a lower level Family Room with a Powder Room and inside access to the Garage. The exterior is maintenance-FREE and the energy-efficient (insulated, double pane)/ tilt-in (easy to clean) replacement windows are capped! Why pay rent? 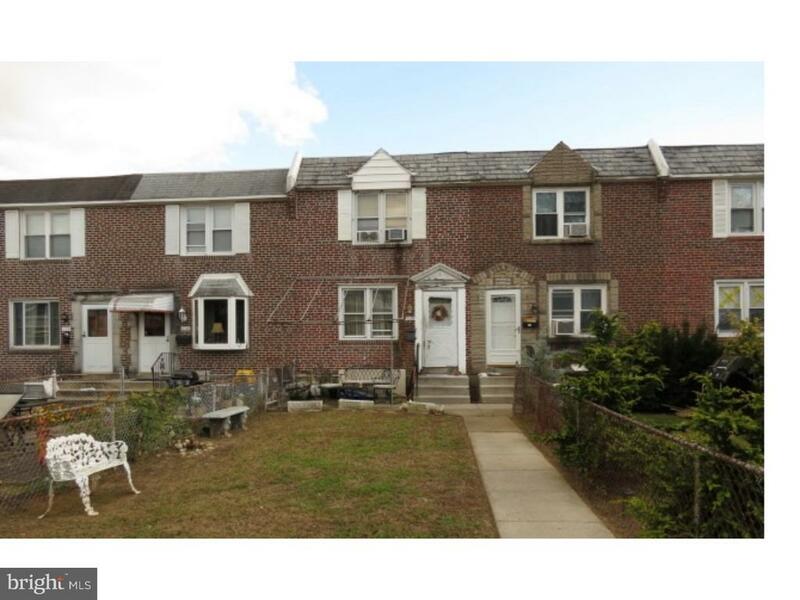 Invest in yourself and build equity!All this fine home really needs is you!" 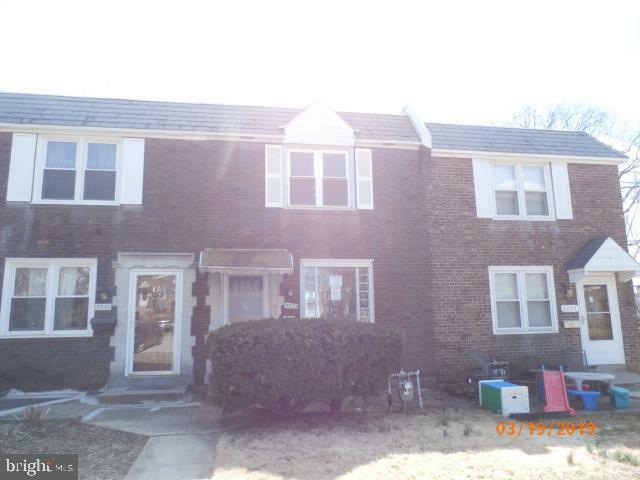 "A little TLC will go a Long way on this solid Brick Westbrook Park Home! Held for a long time by same owner it is well worth a look. SUPER close to the elementary school , transportaoin and shopping , low house hunters should take a look ! Agent Showings Start on Thursday 10/18/18 Easy to show"
"Perfect starter home or for someone looking for a 3 bedroom/1 full bathroom home. Move-in ready. 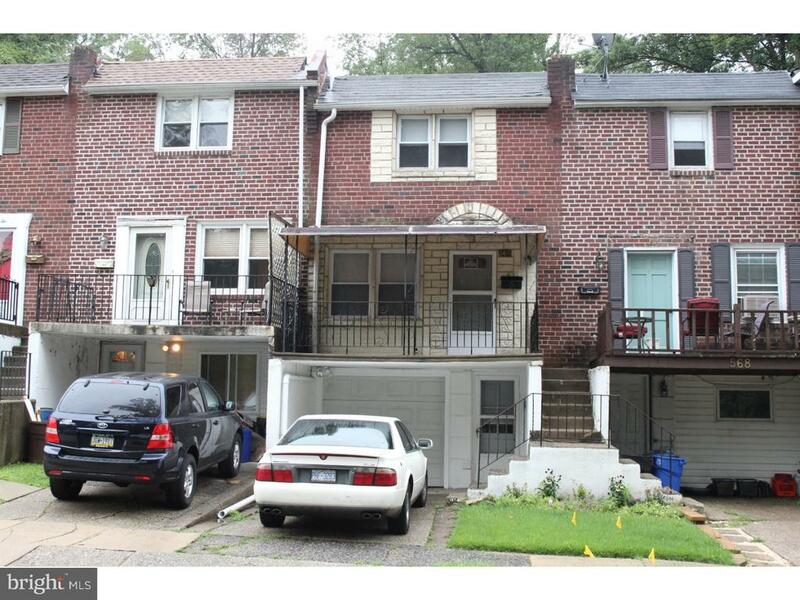 Driveway Parking and easy access to all major transit routes & Close to public transportation. Great Neighborhood! Nothing To Do But Enjoy!" "This two story home has much to offer as you walk thru the front door you will see a first floor that features, living room, dining room, half bath, eat in kitchen with access to rear deck and yard, family room with a fireplace interior entrance to two car garage, second floor has master bedroom with a master bath, three additional bedrooms and three piece hall bathroom, full unfinished basement. Property is being sold in as is where is condition. Buyer is responsible for paying the full transfer tax at settlement. Buyer is responsible for obtaining and payment of any required Certificate of Occupancy or Compliance thru township. Buyer is responsible for their own investigative information for this home including sq. ft., room count, sewer and water systems." "Seller is a real estate agent." "Westbrook Park brick townhouse. Offers three bedrooms updated kitchen and bath. Full unfinished basement. Needs cosmetics. The property is FHA insured with escrow, FHA 203k, conventional or cash. Owner occupied preference for the first 15 days. Buyer is responsible for all closing costs, certifications, certificate of occupancy requirements and transfer taxes etc. Sold As-Is without any guarantee or warranty by seller. 45 day transaction close for financed transactions. 30 days for cash purchases, 60 days for FHA203K. The utilities are off. Written pre approval for financing, as is lender. Proof of funds for cash sale. Deposits in certified funds payable to buyer's title Company. Equal housing opportunity." "DRIVE BY SHOWINGS ONLY. DO NOT APPROACH OCCUPANTS. Home is auctioned occupied. 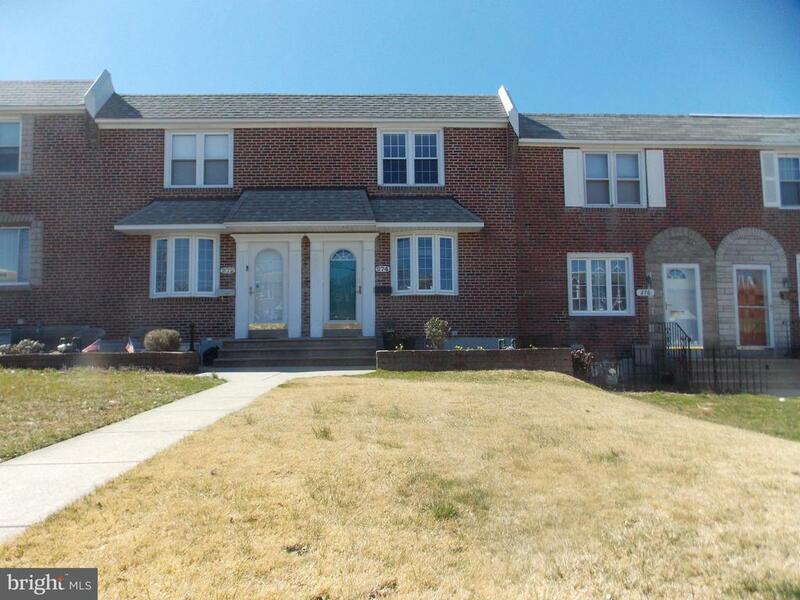 Two story home in Clifton Heights, offers living, dining, kitchen, 3 bedrooms and one bathroom. The event will begin 04/01/2019 and end 04/03/2019. Seller makes no representations regarding the condition of the property. This property is subject to a 5% buyer~s premium pursuant to the Auction Terms & Conditions (minimums may apply). Please contact the listing agent for commission and details. This is a reserve auction and all offers are subject to seller approval. Please contact listing agent for details. Buyer representing self will not be paid a broker co-op commission."